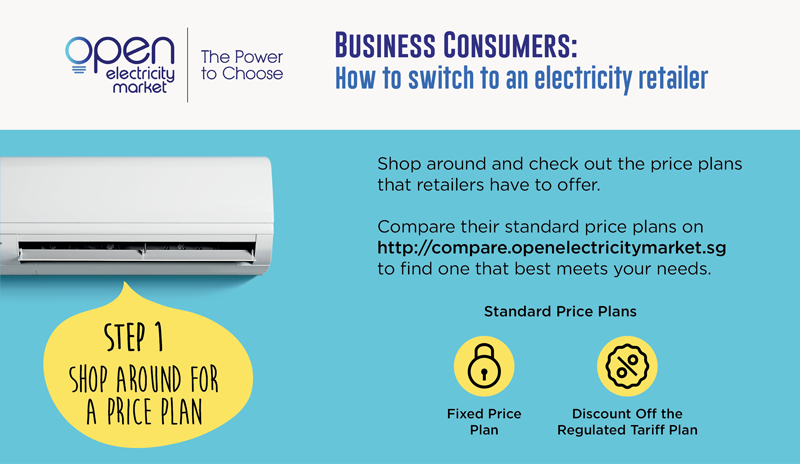 Before you make the switch to buy electricity from a retailer, here’s what you need to consider as a business consumer. Click on each step in the infographic to find out more. Shop around and check out the price plans that retailers have to offer. You can compare their standard price plans using our Price Comparison Tool to find one that best meets your needs. Pay a constant rate (e.g. 20 cents/kWh) for electricity throughout your contract duration. 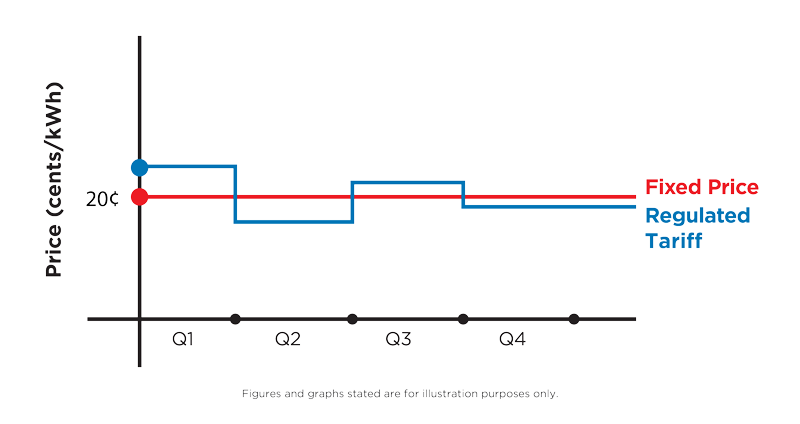 However, the rate may be higher or lower than the regulated tariff during the contract duration as the regulated tariff is reviewed every quarter. This plan is suitable for consumers who prefer certainty over price and bill size. Enjoy a fixed discount off the prevailing regulated tariff (e.g. 5%) throughout your contract duration. 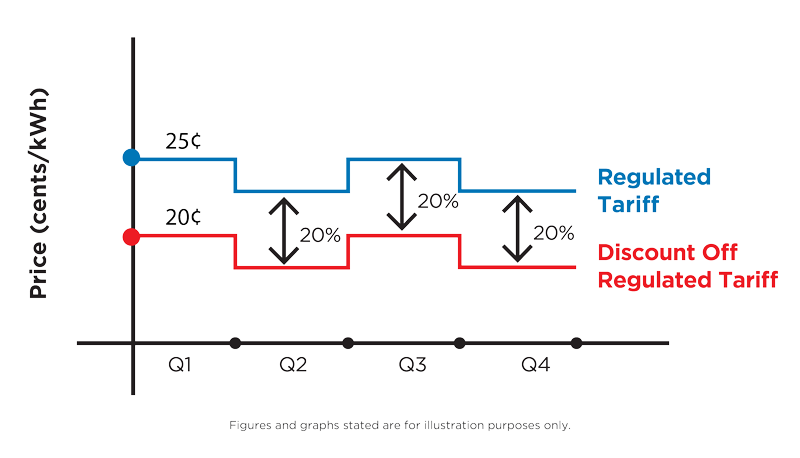 This is suitable for consumers who do not mind that their electricity rate changes every quarter so long as it is lower than the regulated tariff. The regulated tariff is reviewed by SP Group quarterly, and approved by EMA. Retailers may also offer incentives as well as bundled services and products as part of their standard price plans. Retailers may also offer non-standard price plans. These are plans where the electricity rates may not be all-inclusive and may change during the contract duration in accordance to the terms and conditions of the contract. They may also include recurring charges or fees, and retailers have the flexibility to decide on the pricing structure and contract duration. Please approach the retailers if you wish to find out more about these plans. Contact your preferred retailer for details on the price plan that you are interested in. Ask for a Fact Sheet of the price plan. Look out for contractual terms such as contract duration, payment terms, security deposit, early termination charges and auto-renewal clauses. Ask if there are any terms and conditions associated with bundled services or products. Read through your contract, and ask your retailer to explain the terms and conditions if you do not understand them. Business consumers who wish to switch to a retailer will need to install an advanced meter meter (also known as a smart meter). The advanced meter will allow you to measure read your electricity consumption every half-hour. 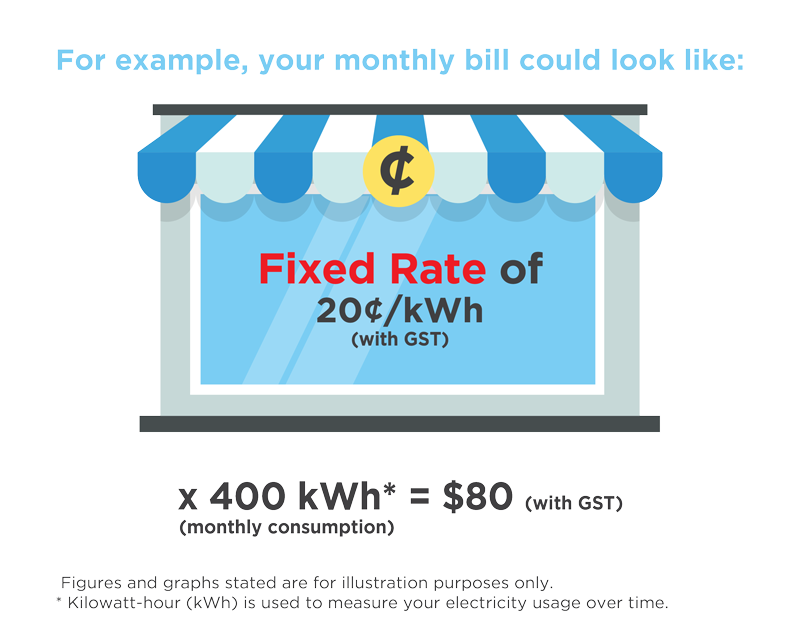 A meter installation fee of $40 (before GST) may apply. Read through the contractual terms before signing the contract. You will need to prepare relevant documents to show that you are authorised to contract with your retailer on your company’s behalf. Your retailer will submit these documents to SP Group to make the switch. Your contract can only start after your advanced meter is installed by SP Group, which typically takes up to 1 month.